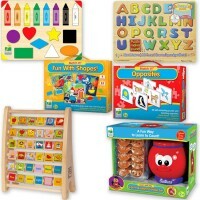 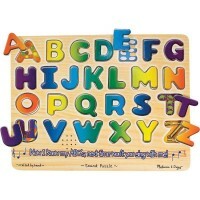 With the See-Inside Alphabet Peg Puzzle, by Melissa & Doug, each wooden letter has a colorful picture of an object that starts with that letter beneath it. 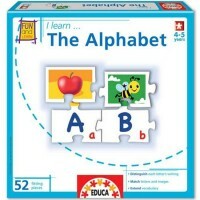 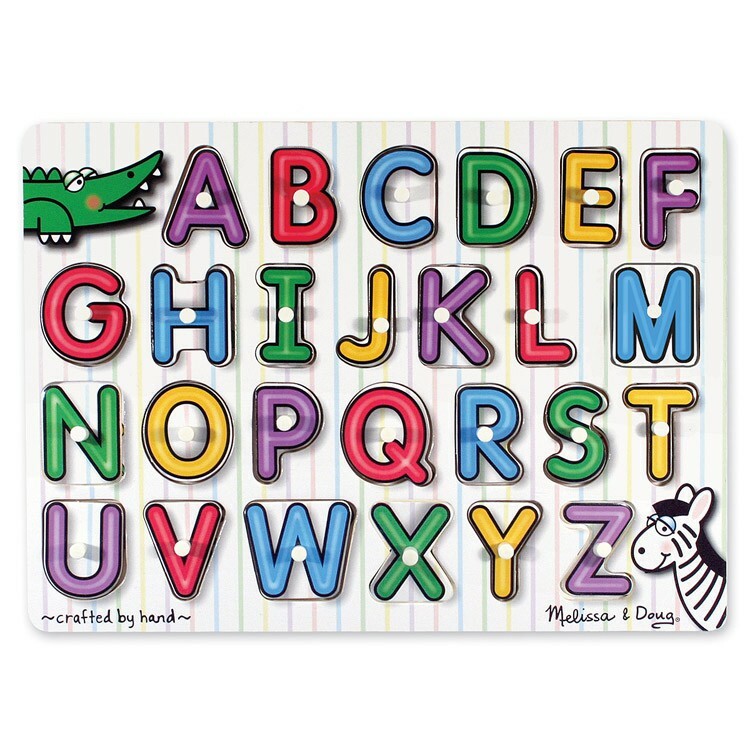 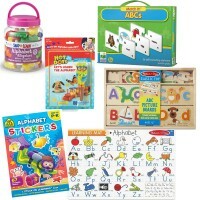 With the See-Inside Alphabet Peg Puzzle children will know their ABC's with ease! 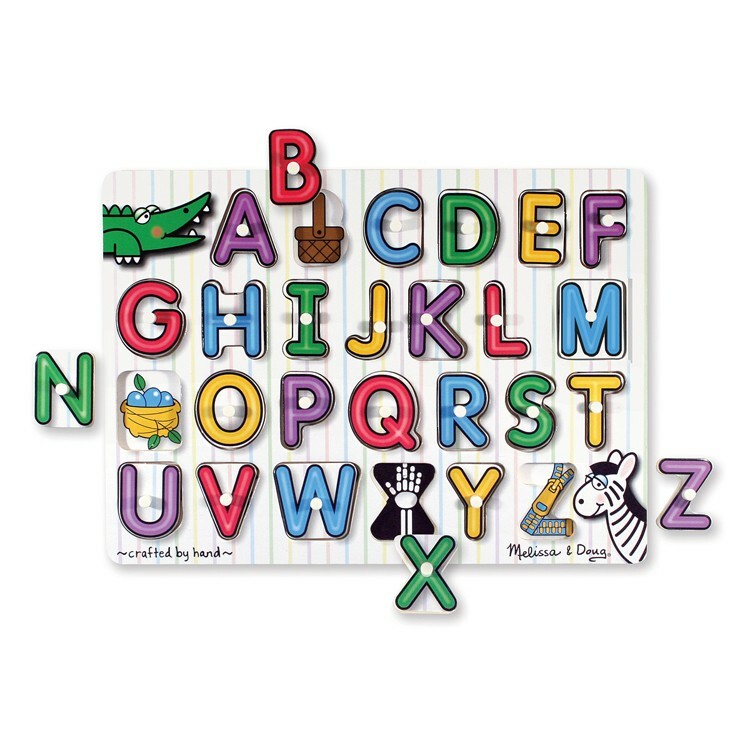 With the See-Inside Alphabet Peg Puzzle, by Melissa & Doug, each wooden letter has a colorful picture of an object that starts with that letter beneath it. 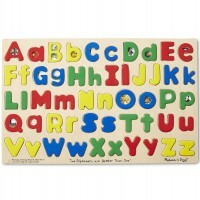 This quality wooden ABC puzzle is great for learning the alphabet and having fun! 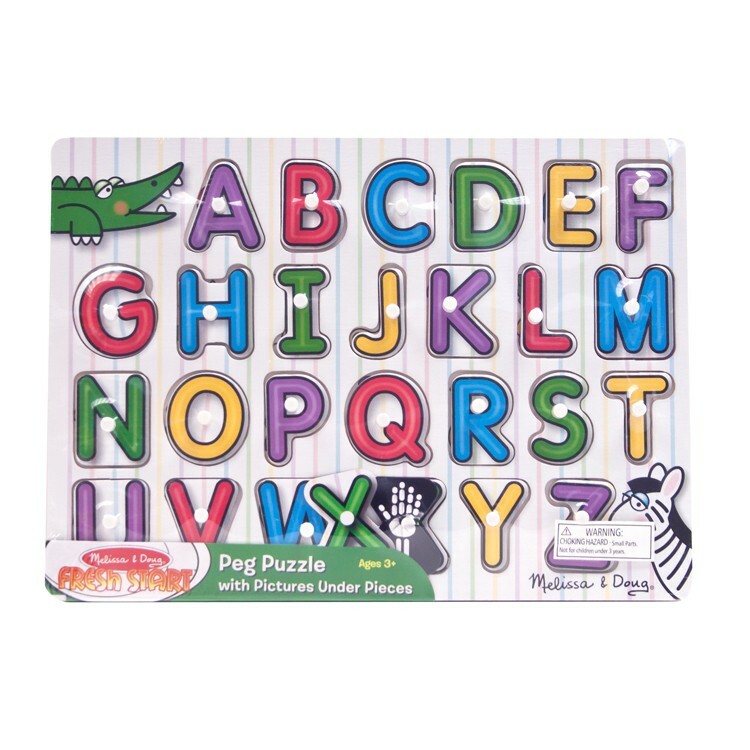 It can be used anywhere, at home, in the classroom, or on-the-go! 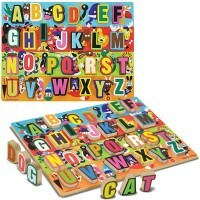 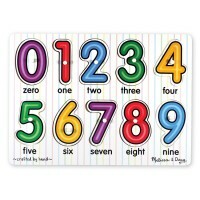 See-Inside Alphabet Peg Puzzle includes a puzzle board with 26 removable letter pieces. 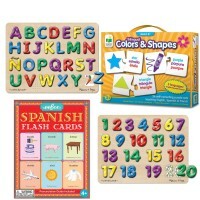 This amusing wooden puzzle from Educational Toys Planet allows your toddler or preschoolers have educational and entertaining time learning the alphabet! The ABC's were never this much fun! 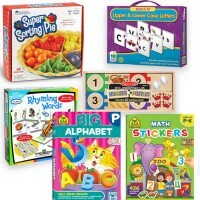 Dimensions of package 8.4" x 11.7" x 0.9"
Write your own review of See-Inside Alphabet Peg Puzzle.